The Verizon version of the Samsung Galaxy Note 2 is finally in our hands, but before we get into some of the specific features on this that were missing from our T-Mobile version, we thought we’d share a quick gallery. 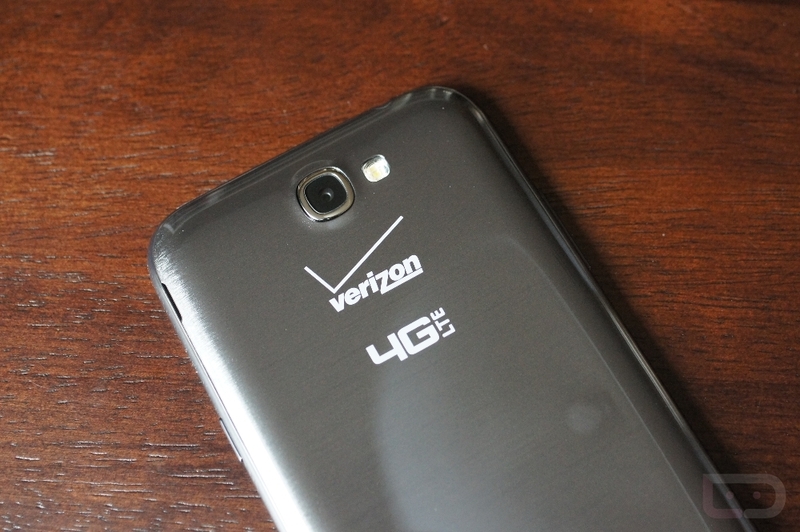 We have the grey version, which as expected, has a “Verizon” branded home button, along with massive 4G LTE and Verizon logos on the back. It’s still a Note 2, but there seem to be a few surprises up its sleeve. We’ll show you Swiftkey’s new Flow keyboard in a second, the impressive Multi-window feature, and ask why Verizon continues to force that ridiculous WiFi-notification on us.